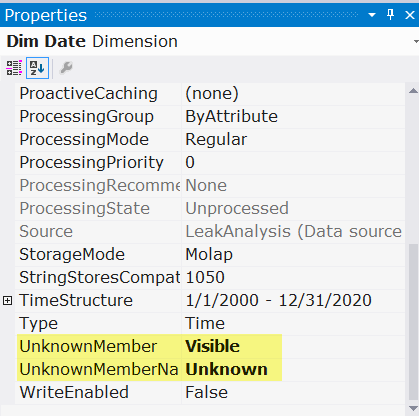 Enabling the Unknown Member on a Dimension in SSAS. Warning 5 Errors in the OLAP storage engine: The attribute key cannot be found when processing: Table: ”, Column: ”, Value: ’12:00:00 AM’. The attribute is ‘Date’. No luck. Still getting the error when the date in the Fact table is null. 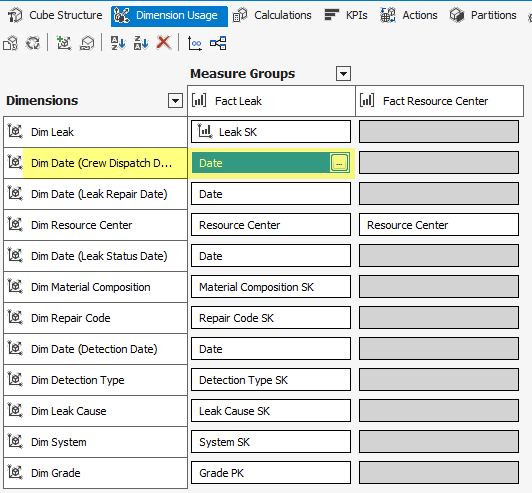 Dimension Usage Tab with Date dimension Usage highlighted. Click OK. To get back to the Dimension Usage tab, and change the Null Processing dropdown for any other Date relationship where the date in the Fact table could be null.